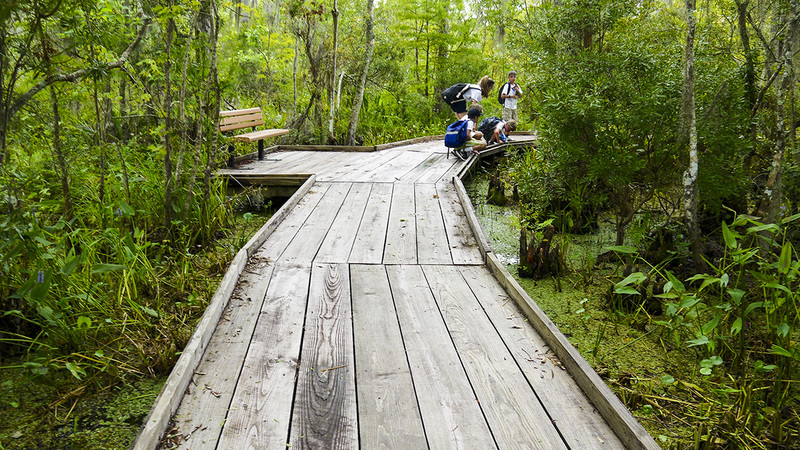 Twenty-three thousand acres of swamp, marsh, and bayous make up this nature preserve. 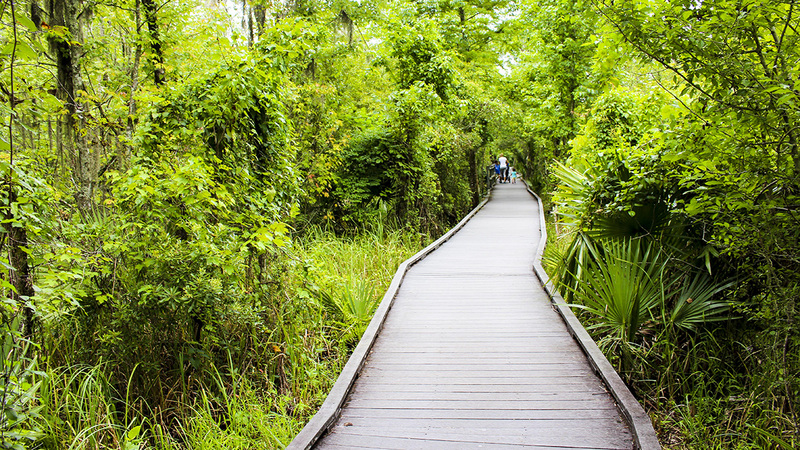 Named after a notorious French pirate and smuggler, the preserve is located in Marrero, six miles southeast of New Orleans. 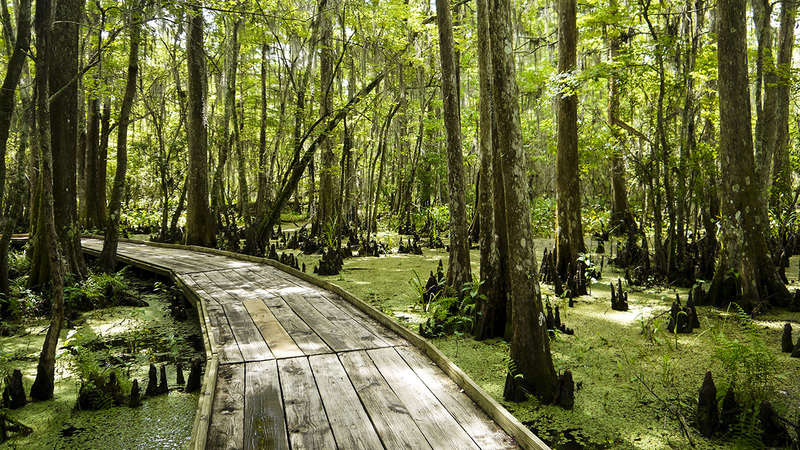 It provides a glimpse of the native Louisiana landscape just beyond the urban metropolis. 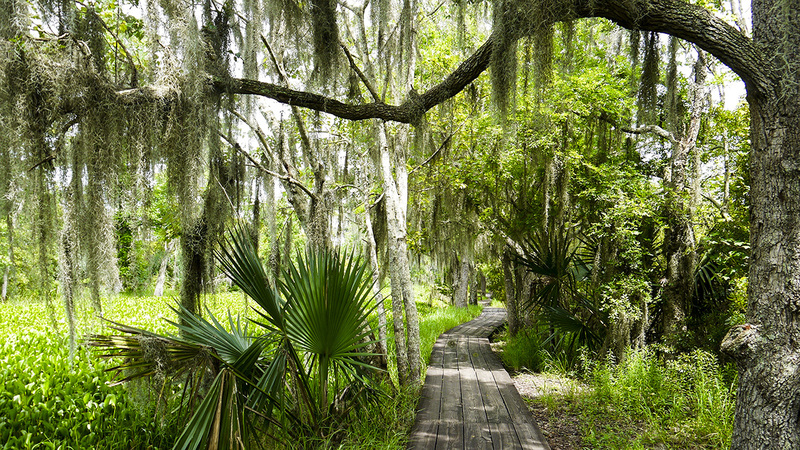 The area was first designated a state park in 1966 and was later incorporated into the Jean Lafitte National Historical Park and Preserve, established in 1978. 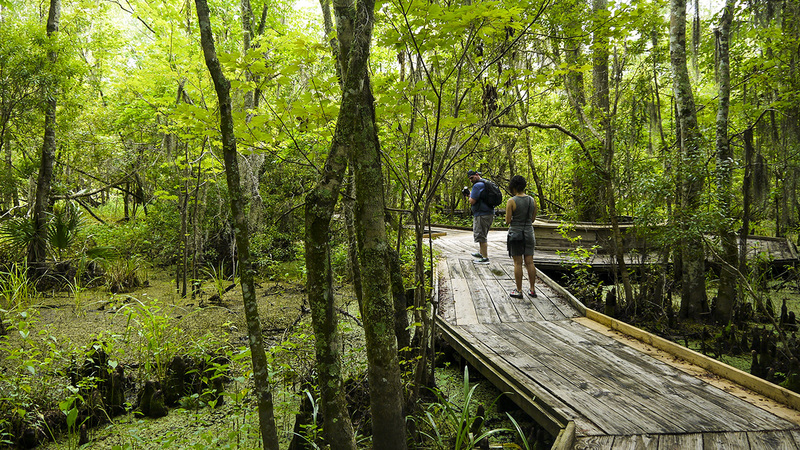 The Barataria Preserve functions as the ecological component of the federal government’s efforts to provide a framework for understanding the natural history and cultural heritage of Louisiana’s Mississippi Delta. 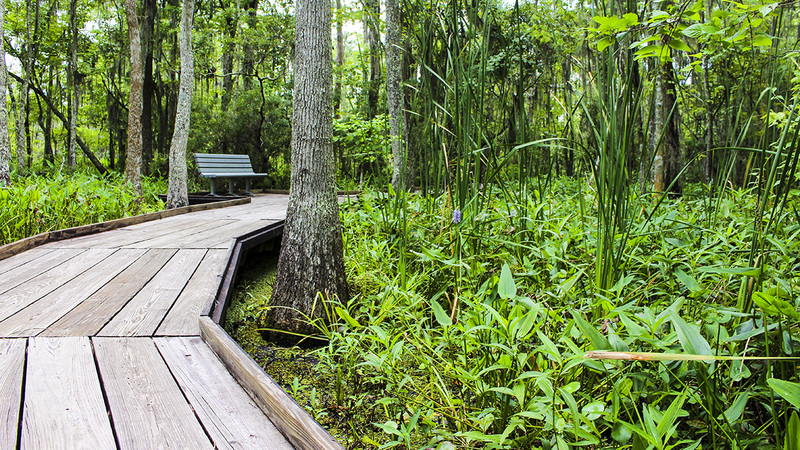 Approximately 3,000 acres of adjacent wetlands were added to the preserve in 2009. In 2010, Biohabitats, Inc., worked to minimize the effects of fossil fuel extraction on site, clearing invasive Chinese tallow from the preserve and restoring freshwater surface flow by excavating spoil mounds that were created after constructing exploratory access canals. 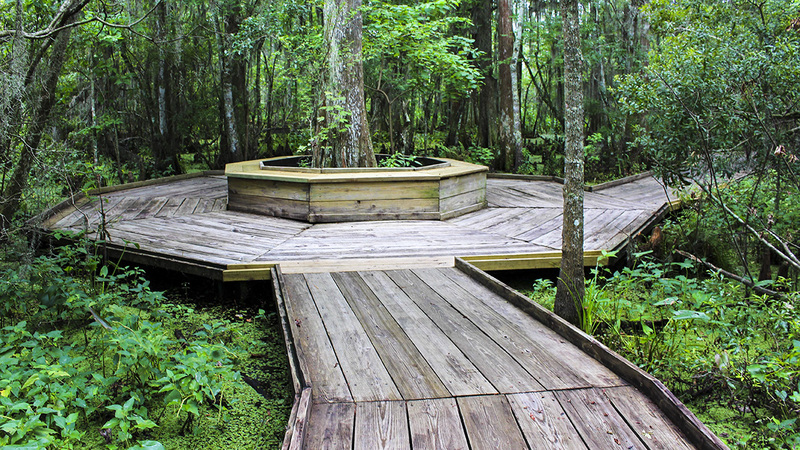 The Preserve comprises three distinct zones: hardwood forest on levee ridges, backslope swamp, and freshwater marsh between levees. 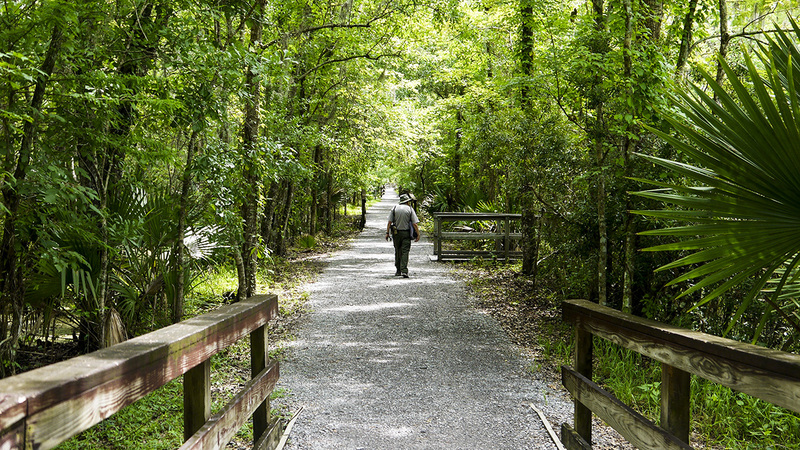 Hiking trails of dirt and gravel cut linear paths through the eastern side of the preserve, where higher ground fosters a dense understory of palmetto, hawthorne, and holly, shaded by a thick canopy of willow, maple, sweetgum, ash, elm, and oak. 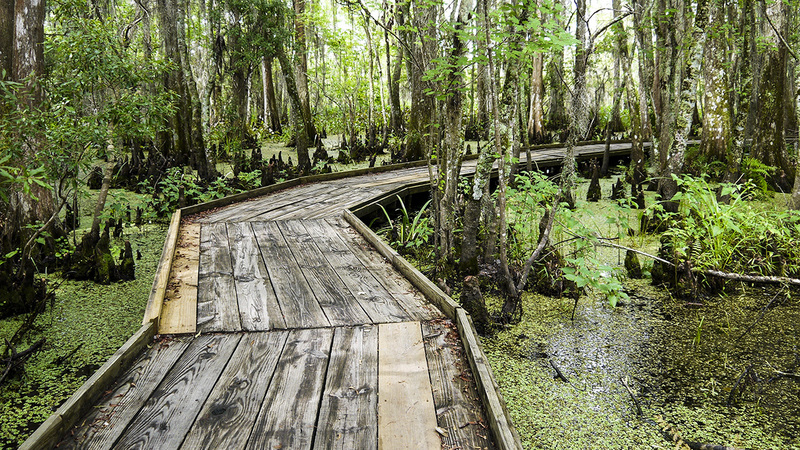 A wooden boardwalk winds through the swamp, its long lines giving order to an impenetrable, shady mass of cypress and tupelo trees. There is an environmental education complex on the site, as well as areas for picnicking. West of the preserve are Lakes Cataouatache and Salvador and the Salvador Wildlife Management Area.